If you've been waiting for the technical preview of Windows Phone 10 to drop, today's the day. Microsoft's Gabriel Aul tweeted Thursday morning that the the release would be pushed out today, and then indicated that it will be sooner, rather than later. Okay #WindowsInsiders, you've all been patient enough. TODAY is the day for Win10 Technical Preview for phones. Stay tuned for more info. During a press event last month, Microsoft showed what Windows 10 (formerly Windows Phone) will look like on phones. There’s still a vertical list of Live Tiles on the Start screen along with a master app list, and the familiar “Action Center” for notifications still appears when you pull down from the top of the screen. Notifications will stay in sync between phones, tablets and laptops, so dismissing a notification on one device will cause it to disappear on the others. The company also showed an expanded quick toggles menu with shortcuts to things like quiet hours and GPS, and a streamlined settings menu. Microsoft also showed off a revamped version of Office, which will accompany the new operating system. Microsoft has managed to shrink the entire Office ribbon user interface for small screens, making features like Track Changes available on smartphones. 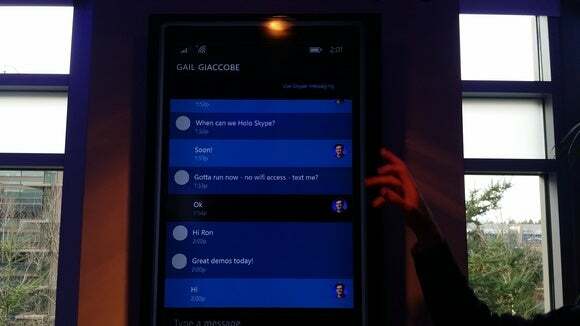 The Messages app on Windows Phone 10. Windows 10 for Phones is also expected to include so-called "universal" apps, which will share the same look and feel as the desktop version of Windows 10. Microsoft showed off several of those last month, including new universal versions of Maps, Skype and Messaging, and Photos. 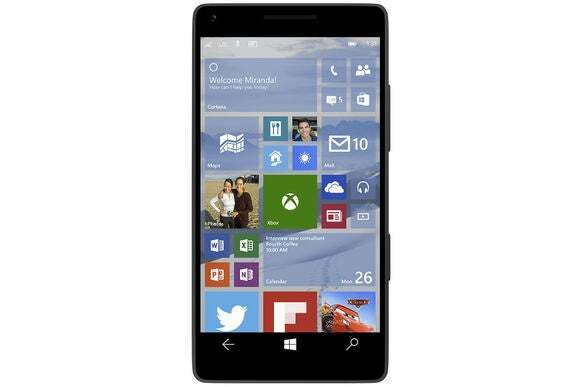 We'll have more information about Windows 10 for Phones as it's released, and as we have a chance to examine it. But to begin with, make sure you have two things: a spare Windows Phone, and the Windows Insider app loaded onto it. Fair warning: this is a technical preview, and you certainly run the risk of rendering your phone inoperable. Be careful! Additional reporting by Jared Newman.